For even more news and recoveries obtained, please Download our PDF Version. 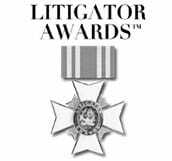 Early in 2015, Blume Forte Fried Zerres & Molinari was named a recipient of the 2014 Litigator Awards™. The accolade indicates that the firm has established excellence in its field of practice. While the Litigator Awards span 72 categories of expertise in virtually every area of personal injury litigation, the only law firms considered for the title are those who have won million, multi-million, and/or billion dollar cases – something less than 1% of all lawyers have achieved. Of the nearly 1.1 million lawyers in the nation, roughly 11,000 were considered, and only 12 lawyers or firms per state were granted the prestigious title. David Fried represented a man who was riding his motorcycle in the summer of 2014 when a woman in an oncoming vehicle from the opposite direction attempted to make a left turn in his path. The vehicles hit head-on and the man was thrown from his cycle, sustaining a shattered vertebrae in his mid-back, a dislocation at the meeting point of the thoracic and lumbar levels and damage to his spinal cord. He has paralysis in one leg, only partial function in the other, is unable to work and sustained losses to a number of basic functions in life. The firm was able to secure the settlement amount from three insurers: the woman’s primary insurer, the excess carrier, and the insurer of the loaner car she was driving. This case involved a young woman who suffered very extensive complications after gastric bypass surgery that took place on a Friday. The health care providers covering for the surgeon over the weekend after the surgery did not recognize that the patient was developing early complications of the procedure. By Monday morning, the situation was very severe. The patient had numerous surgeries to repair damage to her bowel and abdomen, was in and out of the hospital for many months, had large segments of her bowel removed, and suffered from post-traumatic stress syndrome. Michael Zerres represented a woman, now 54, who went to a local hospital in August of 2009 complaining of headaches. A CAT scan and an MRI of the head were performed, and after a radiologist misinterpreted the studies as negative, the client was sent home. However, the images actually revealed a sentinel, or small bleed, from a cerebral aneurysm. Approximately two weeks later, the client returned to the same hospital with worsening headaches. At that time it was discovered by CT Scan imaging that the woman had a brain bleed known as a subarachnoid hemorrhage and she was immediately transferred to another hospital for emergency surgery. However, by that time, the client had already sustained significant damage to the brain as a result of massive bleeding. Had the sentinel bleed been diagnosed two weeks earlier, it was asserted that the leaking aneurysm could have been repaired without resulting injury to the brain. The client is now confined to a wheelchair, has difficulty speaking and has cognitive deficits. John Molinari represented the family and estate of a 39-year-old woman who was seven months pregnant when she was involved in a head-on collision with a work van. She suffered severe abdominal trauma and placental abruption that required an emergency C-section delivery of her child. Her daughter was successfully delivered but died several hours later due to the traumatic placental abruption and severe hypoxia (lack of oxygen). There was no provable conscious pain and suffering for the child and the mother’s physical injuries were relatively minor. The recovery was for the emotional distress of the mother in losing her daughter under these tragic circumstances. Mitch Makowicz secured a recovery of $750,000 for the estate of a young woman who was forced to undergo two partial amputations of her leg due to a failure to timely diagnose cancer. The client saw an orthopedic doctor after injuring her knee playing soccer, who in turn sent her for x-rays, which demonstrated the presence of osteosarcoma that was improperly diagnosed by both the radiologist and the orthopedist as a routine, benign abnormal bone growth. The cancer diagnosis was not made for seven months, when any chance of treatment saving her leg was no longer possible. She went on to have one amputation above the knee and another to the hip before succumbing to the disease. Jeffrey Zenna recently represented several men and women ranging from 50 to 75 years of age in separate lawsuits involving defective hip prosthetics. In each case, the patients had received hip replacements with metal devices which, over time, began to break down. As a result, the individuals faced a number of complications, including increased levels of cobalt and chromium or metal shards being absorbed into their bloodstreams. Jeff secured over $2,000,000 for the clients, who are all facing additional hip replacement surgeries due to the unexpected early failure of their implanted prosthetics. Ken Elwood represented two emancipated adult children of a 48-year-old woman, who had been struck and killed while crossing a suburban street at night outside of a crosswalk. The driver of the vehicle fled the scene, but was later identified and arrested. The firm settled the case for $1,240,000 shortly before trial. Blume Forte Fried Zerres & Molinari recently hosted a CLE networking breakfast for fellow attorneys near the firm’s office in Sea Girt, NJ. Some 70 attendees enjoyed a discussion on time management, learning how the human brain works and applying that understanding to strategies that maximize productivity in work and happiness in life. “The Science of Getting More Done,” given by Barbara Bergeron of SOS Organizational Services, was incredibly well received by the attorneys in attendance. “This was one of the most informative and entertaining CLE courses I’ve ever attended,” said one guest. The event marked the relaunch of Blume Forte’s popular networking breakfast series. New programs are being planned near the firm’s other offices in North Bergen, Jersey City, and Chatham. To be added to future CLE event invitation lists, email [email protected]. Blume Forte represented the estate of a woman, who was killed, and her daughter, who was injured, when an intoxicated truck driver crashed into their car. The truck driver, who became lost as he was traveling from North Carolina to New York, stopped at a New Jersey bar to get directions. He was already slurring his speech and having trouble standing when he went into the bar, where he purchased a six-pack of beers to take with him. He had trouble recalling the precise name of the bar, but did give some specific details in the days after the crash. The bar disputed that it was the place identified by the driver but using the description given by the truck driver the firm was able to show that it was the only bar in New Jersey that matched the description. The case settled against the truck driver, the truck drover’s employer and the bar before trial began. In a case that settled just prior to trial, Rich Villanova negotiated $600,000 for a young man who sustained closed head injuries in a motor vehicle accident. The driver had taken an exit ramp at such a high rate of speed that the car flipped three times. The firm’s client sustained an epidural hematoma and non-displaced fractures of the face, skull and C5 vertebrae, which all went on to heal with no treatment. However, after the accident, the young man (who had been an honors student in high school) faced cognitive deficiencies in reading comprehension and spelling. While the defense experts contended that he was neurologically intact and that his cognitive problems preexisted the accident, Rich Villanova was able to obtain a $600,000 settlement just prior to trial. A client of Blume Forte tripped and fell over a speed bump in a parking lot. She had not noticed the speed because it was situated in the shade and was the same color as the pavement. The firm located an expert who found that the speed bump, not painted yellow or containing any markings, violated construction standards as an inconspicuous tripping hazard. He secured $150,000 for the client, who suffered a torn meniscus, torn rotator cuff, and bulging/herniated discs. Blume Forte represented a 50-year-old man who sustained serious injuries when he slipped and fell on ice while leaving his place of employment. Liability was hotly disputed as there was a severe weather storm for many hours prior to the incident, and the storm was still ongoing during the incident. The firm was able to establish that a landscaper who had salted the location prior to the incident had not done an adequate job in salting or in crushing up the ice after the salt was spread. The case resolved against the landscaper and the property owner on a non-delegable duty theory. Blume Forte is planning several networking and continuing legal education events for attorneys around the state in the coming year, including a special women-only event this fall. Would you like to be included on the guest list? Email your contact information (name, firm, address, telephone and email) to [email protected]. Blume Forte Fried Zerres & Molinari was a top honoree at the 2015 New Jersey Law Journal Personal Injury Hall of Fame dinner, which took place April 22, 2015 at the Brooklake Country Club in Florham Park, NJ. The event identified law firms who have secured the top verdicts and settlements in New Jersey personal injury cases. 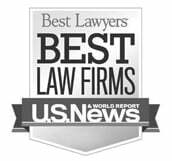 The firm was recognized as the top Medical Malpractice earner for the last five years, with approximately $52,552,000 in recoveries on behalf of its clients.